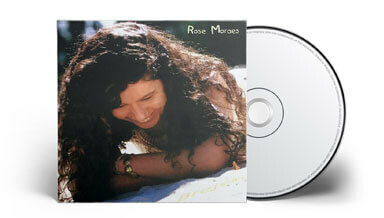 Singer, poet Rose Moraes brings the soul of Brazilian Music to the world. Born in the south of Brazil near Sao Paulo, she has performed in Switzerland, Poland, Brazil and the US, where she now resides. Recorded her first CD "Brejeira". Launch her show "enCANTO do Poema" (enchantment of poetry) presented in many capitals in Brazil. Recorded a live CD with the show. In the States, opened for Diana Ross at BET "Walk of Fame" in Washington DC; performed at Library of Congress, The Chamber of Commerce (Brazil-USA), The National Zoo, Adams Morgan Day Festival, Artscape (Baltimore), NYC at Zinc Bar and The Iridium. Presented "Roots of Brazil" and "Tribute to Antonio Carlos Jobim" at Creative Alliance in Baltimore. Performed for Thievery Corporation at Eighteenth Street Lounge in Washington DC with her Band "Soul Brazil". 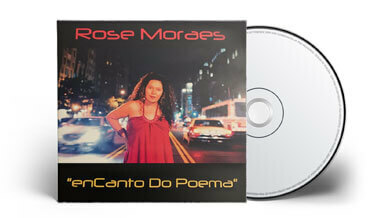 In "enCANTO do Poema", Rose Moraes pays tribute to Brazilian popular music with such inspiration that the great classics among Brazilian songs will sound like novelty to those who are not paying much attention. It's the magic touch of Rose that makes all the difference.